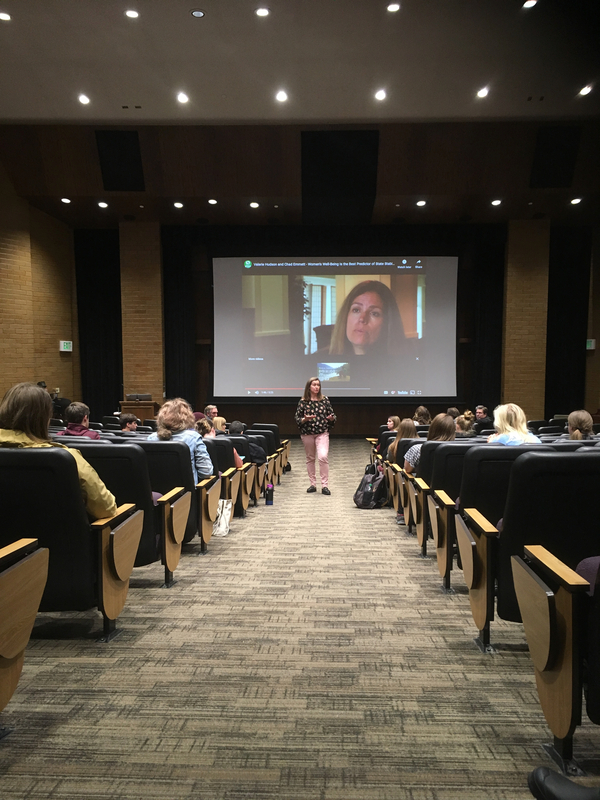 Mary Ann Shumway McFarland (current instructor of the Intro to Women’s Studies course) discusses the impact of Iraqui Yazidi genocide survivor and Nobel Peace Prize recipient Nadia Murad. Mary Ann Shumway McFarland lecturing about the film “On Her Shoulders” at International Cinema, March 2019. 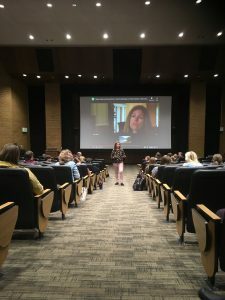 PROVO, Utah (March 6, 2019)—Mary Ann Shumway McFarland spoke at one of the latest International Cinema lectures about Nadia Murad, winner of the 2018 Nobel Peace Prize. In 2014, Murad had been kidnapped from her home and sexually enslaved by the Islamic State (ISIS). This assault was a part of their campaign against all non-Muslims, including the monotheistic Yazidi minority group that Murad belongs to. Thankfully, Nadia Murad was able to escape her captors after three months of torment. Now, she works to raise awareness for those still held captive by ISIS. McFarland commented on the immense courage and strength Murad has demonstrated in speaking up for those still captive. Rather than letting her experiences break her, Murad has allowed her experiences to strengthen her. on the College of Humanities Website.